It’s a dilemma all homeowners face at some point. A property that once offered ample space for your growing family suddenly seems frustratingly small. Naturally, you ask yourself whether the time is right to sell up and move on. However desperate you are for extra living space, weighing up the costs of a house move can be off-putting. Stamp duty, legal fees, surveys and more could amount to several thousand pounds, and it’s money you won’t get back. There are other considerations too, not least your emotional attachment to your home and the prospect of children changing schools. So what is the best way to extend your home – on a budget – without the upheaval of moving, and boost your property’s value? An extension is the obvious answer. This offers flexibility of design, enabling you to add the desired amount of extra space to your home. But for many of us an extension won’t be feasible for reasons of time and cost. Instead you could look upwards for inspiration, towards your unused loft space. Your loft might be suitable for conversion depending on various factors. These include roof structure and height and the practicalities of installing a staircase. A loft conversion boasts many advantages over an extension. It is less likely to require planning permission and won’t reduce garden size. In most cases, it can be completed in a shorter time frame and could cost less too. And yes, it might add a tidy sum to the value of your home. But, as with all major home improvements, be prepared to do plenty of reading and research before taking the plunge. At propertypriceadvice.co.uk we’ve put together this handy guide, providing answers to all the important questions. Will a loft conversion always add value to your property and, crucially, is your loft actually suitable for conversion? We’ve also covered planning permission, building regulations and why you might need a Party Wall Agreement. If you do decide to go ahead, what type of conversion will suit your property and budget? Consider all your options, from the simplest roof light conversion to a more complex and expensive Mansard conversion. Finally, getting the right company to carry out the work is key to a successful project. Do your homework early on. It’s never too soon to start planning those finer design details such as blinds, built-in storage and lighting. 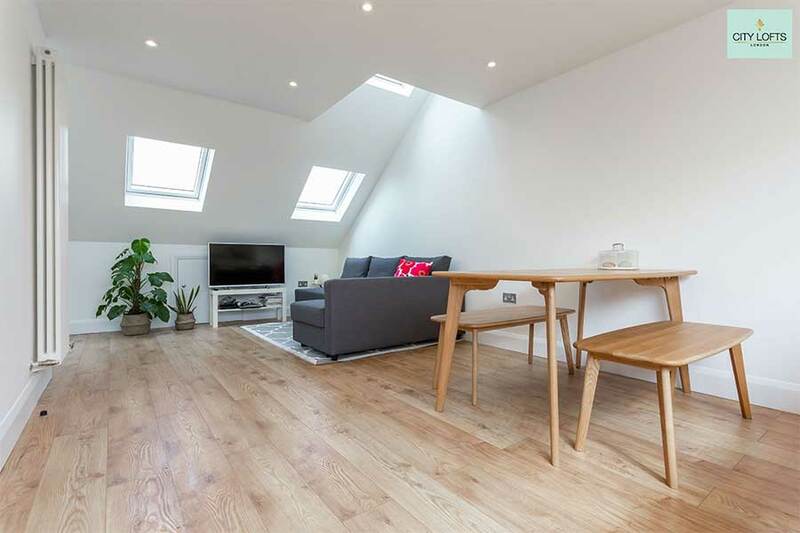 Will a loft conversion increase the value of my property? 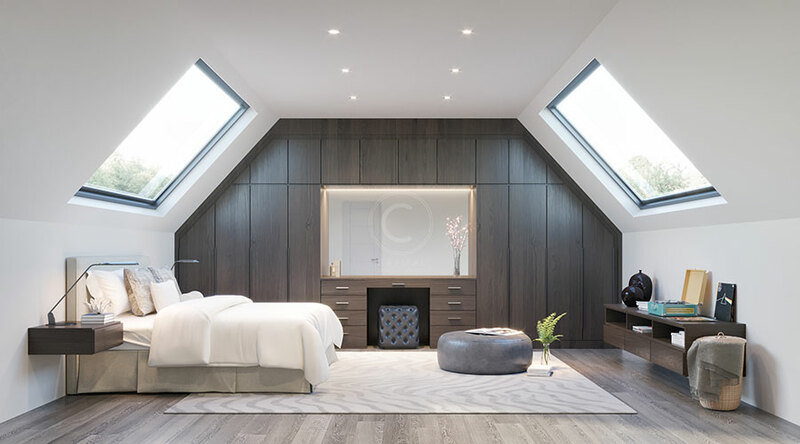 According to research carried out by Nationwide, a loft conversion which incorporates a double bedroom and bathroom could add as much as 22% to the value of a three-bedroom, one-bathroom house. However, don’t assume that value added to your property will necessarily exceed the cost of your conversion. You will need to do some thorough research on other nearby properties first. Look at the ceiling price of similar-sized homes in the street. Compare this with the current value of your home, amount quoted for the work and additional square footage. Are you likely to recoup your expenditure and increase the value of your property? Perhaps moving to a larger house would make more financial sense. Is my loft suitable for a conversion? A combination of criteria will help you assess the suitability of your loft for conversion. Before approaching a builder, do your own research. Look out for any similar properties in your area that appear to have undergone a conversion. You could even ask to have a look. Get one step ahead by taking some measurements of your own. Roof height, pitch and overall space: take a floor-to-ceiling measurement in the tallest part of the loft. A minimum height of 2.2m is required. However you will ideally have a measurement of 2.2m-2.4m for a traditional roof and 2.4m-2.6m for a modern trussed roof. If you have insufficient head height, there are ways around the problem but these can be complex and costly. For example, raising the roof or lowering the ceiling in the room below. In addition, look at the overall space available. Ask yourself if it is liveable and where the staircase might go. Roof structure: traditional rafters or modern trussed roof? The former, typical of pre-1960s houses, is more suitable for a conversion. Rafters run along the edge of the roof leaving more hollow space below. Bear in mind that they might still require strengthening or extra support though. A trussed roof will require structural reinforcements (the addition of steel beams between load-bearing walls for example) as these supports run through the cross section of the loft, making your project more expensive. Consider other features which could pose a problem – a chimney stack in the loft being one example. Your existing water tank/plumbing system might also require you to switch to a sealed system. Does a loft conversion require planning permission? In most cases it won’t, as there is a good chance that your conversion will be considered ‘Permitted Development’. This is good news as it means no lengthy planning process before work gets underway. But it is vital that your conversion is compliant with a specific set of limits and conditions. Also take a look at the Government’s Permitted development rights for householders: technical guidance. This is available for anyone who wants to understand more about the detailed rules on householder permitted development. If you are in any doubt about planning permission always contact an architect or builder for advice. For added peace of mind you can apply to your local council for a lawful development certificate – read more here. What is building regulations approval and will my loft conversion require this? Building regulations are the minimum standards for design, construction and alterations to virtually every building. They ensure that any work carried out is safe, healthy and high performing. Whether or not your loft conversion requires planning permission, it will always need building regulations approval covering the range of alterations necessary to transform it into a liveable space. Stairs: retractable ladders/stairs are not normally acceptable for loft conversions. You will need a permanent solution, be it a space-saver staircase or normal flight of stairs. Positioning depends on the layout of the floor below and where to land stairs for maximum height above the staircase. This is often in line with the roof ridge. The minimum height requirement for your staircase is 2m above the pitchline. Are there bats in your loft? If so, remember that they are a protected species and you will need to pay for a survey. This usually costs around £300-£400 and you might then require a mitigation licence. Thermal and acoustic insulation. Effective insulation will keep your loft room cool in summer, warm in winter, soundproof and save money on heating bills. Choose insulation that gives the best possible U-value and doesn’t take up too much space. U-value measures how effective a material is as an insulator; products with a lower value are more energy efficient. Adequate ventilation is vital to prevent condensation-related problems and ensure good air quality. This includes rapid ventilation via windows, background ventilation with air bricks/trickle vents and extract ventilation for bathrooms/kitchens. A roof light conversion: the simplest and least expensive option. Ideal if you already have sufficient roof space and want to transform it into a room. It involves adding skylight windows, a staircase, floor reinforcements and insulation, electrics, heating, lighting and fire safety measures. Costs start from around £15,000-£20,000. Dormer conversion: more complex, involving an extension to the existing roof – projecting vertically – with the addition of dormer windows. The resultant extension will increase headroom and floor space. Costs vary – upwards of £20,000. The average project with double bedroom/en-suite could cost in the region of £35,000-£45,000. Hip-to-gable conversion: ideal for semi-detached properties and bungalows/chalets which have a hipped roof with sloping side. The idea is to create more internal loft space by extending the property on the sloping side. You create a vertical wall (or gable) at the end to the same height as the ridge and fill in the space in between. Cost is usually upwards of £30,000. 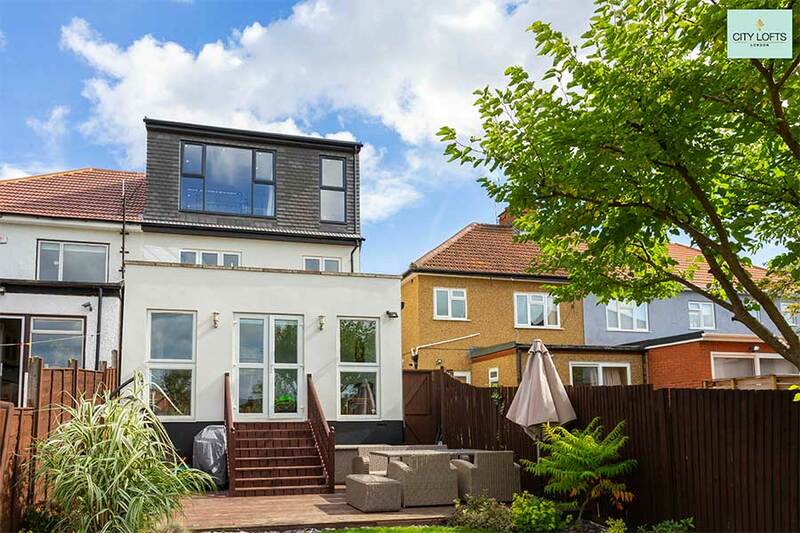 A detached property with two sloping sides could gain extra space by having a double hip-to-gable conversion. Mansard conversion: the most expensive option (around £45,000+) due to changes in roof shape/structure and an excellent space creator. This conversion takes its name from 17th century French architect Francois Mansard and is suitable for most property types. It involves altering the angle of the roof slope to make it almost vertical. You raise the wall to an angle of at least 72 degrees and flatten the top of the roof. You could also consider a modular loft, built off-site and placed in position with a crane. Bear in mind that this will involve removing the property’s entire existing roof. Payment of a party-wall surveyor to deal with any concerns adjoining neighbours might have. Never underestimate the importance of finding the right tradespeople to carry out your loft conversion. Depending on the scale of your project, you might want an architect or designer to start by producing drawings. From there you can put the building work out to tender. Aim to get quotes from at least three different companies and always clarify from the start what is and isn’t included in the price. Personal recommendations are a good starting point. Check online reviews and forums and ask to see examples of previous conversions. As with all building projects, plan meticulously and think ahead. Summer is a good time to carry out building work, especially if you are making structural changes to the roof. If you want your project completed by autumn, you will need to start planning in the spring. And don’t make the mistake of assuming that your builder will be able to start work immediately. According to recent research carried out by the Federation of Master Builders – the largest trade association in the UK construction industry – you should expect to wait at least four months for a quality builder to become available. Add to this the length of time a loft conversion project is likely to take and it amounts to around six-and-a-half months in total. The early stages cover planning research, production of planning level drawings, submission of plans to the local authority and start of the party wall process with neighbours (if required). Once the homeowner receives planning approval/certificate of lawfulness from the local authority, the company will move on to the production of structural calculations from the structural engineer. This results in the production of structural drawings. The next stage is production of Building Regulations drawings. “At each stage of the loft conversion process, layer upon layer of drawings are added onto the document before reaching a completed blueprint for the project,” adds Deepak. At City Lofts London all customers are required to have working drawings completed, although these are usually an optional process. In essence they are a construction manual for the builder on how to build the loft as specified by the client. This could include instructions on types of switch or finishes. These are details which help to avoid any confusion between different parties later on. Once the party wall process is concluded and building control appointed, the homeowner is ready to start their loft. They should sign a contract with the company that they have instructed to carry out the work. The building phase then starts with the preliminaries, including all the essential materials needed to build. At the end of the project there is a final inspection. This is followed by final payment and issuing of a building control completion certificate. Positioning of windows is crucial, particularly if you want to ‘frame’ a beautiful view from your loft conversion. Aim to maximise the flow of natural light into your room but dress your windows to prevent harsh glare from the sun and overheating in summer. There are so many blinds on the market, from the simplest roller to soft and luxurious Roman. Remember moisture-resistant blinds in the bathroom and blackout-lining for sleeping areas. If you’re including a bathroom/en-suite a low-ceiling area could accommodate your bath. A shower and basin will require full head height however. Build some recessed shelving into the eaves for additional storage and incorporate sleek, space-saving concealed installations. Getting large, heavy pieces of furniture to your new room could prove a challenge, depending on your staircase. Space in the eaves is perfect for bespoke built-in storage cupboards and wardrobes. This ensures that every inch of space is used to its full potential. Read our guide to fitted wardrobes for more ideas. For loft bedrooms with limited headroom consider a low-height bed. Choice of lighting will play a big part in the overall atmosphere of your conversion. Always factor electrics into your plans at an early stage. Downlights and track lighting are good for sloping ceilings and dimmer switches allow you to create the right ambience. These are perfect for a second living room or bedroom. Shelf and joinery lighting also add softness and make a beautiful feature in the room. Choice of flooring depends on the purpose of your conversion and how much natural light and heat it gets. Perhaps you’re longing to sink your feet into a deep-pile carpet in your new bedroom or considering stylish timber floors throughout. Look at the pros and cons of solid wood and engineered wood. The latter is a good choice for rooms with fluctuating temperature/moisture levels. 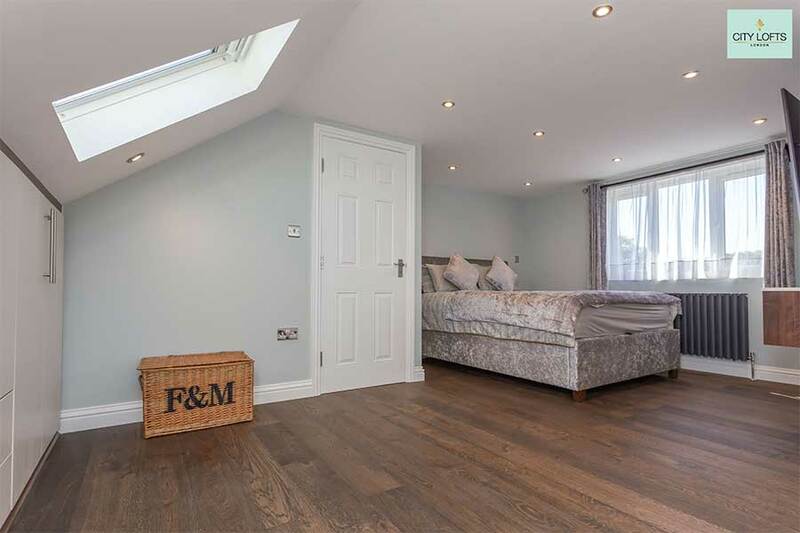 Whatever your specific accommodation requirements, a beautifully-designed loft conversion could be the perfect solution for that longed-for extra space. With careful planning and creative thinking you can transform your home from the ordinary to the extraordinary and improve your quality of life. 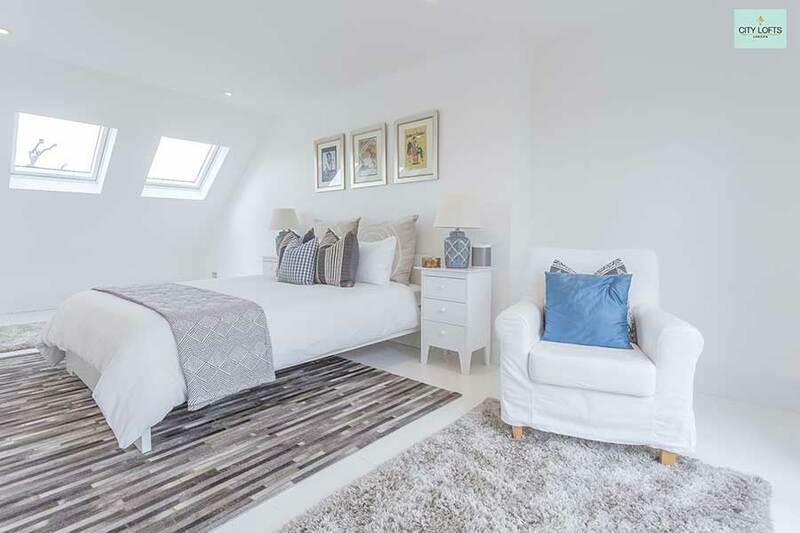 For more ideas on converting your loft read our loft bedrooms guide and get more home improvements inspiration here.